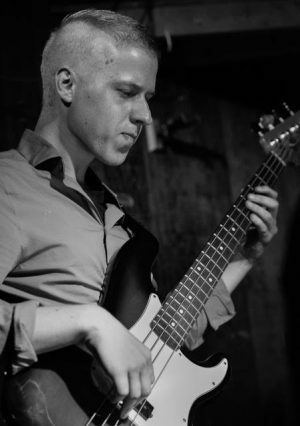 William Strickler is an electric, synth and upright bassist based in Columbus, Ohio. He has traveled around the country playing for Grammy winning singer Daya, finalist on “The Voice” singer Chris Jamison, nationally touring neo-funk band MojoFlo, and national wedding band company Blue Water Kings, and has done freelance work for a variety of artists. Will grew up in Toledo, Ohio, where he attended Toledo School for the Arts. After high school he moved to Columbus and graduated from Capital University’s Conservatory of Music with a B.M. in Music Business/Jazz Studies. When not playing for other artists, he leads and writes for his own jazz group, The WS Collective.